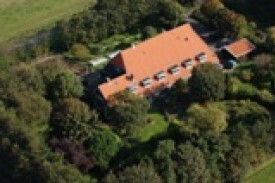 "De Nieuwe Tijd" is a strongly built farmhouse in the centre of the polder Wieringermeer. The image is strongly determined by agricultural activities: in spring many flower fields, in summer cereals, beets, potatoes, carrots and onions. 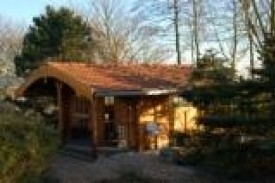 The location is very well suited for a stay of several days and as a homebase for your trips by car. In the farmhouse are 6 bedrooms, ensuite ( private shower, toilet and wash-basin), tv/dvd and central heating, with a view of a beautiful garden. 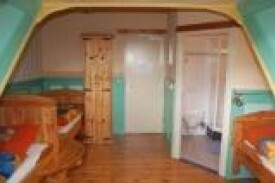 There are also a breakfast room,lounge, a communal log-cabin with television, minibar and bordgames. The farmhouse is surrounded by a large garden ( 1 ha) with a pond , various paths and terraces where you can relax amongst the chicken and ducks. There is a playground for the children and occasionally they can ride the ponies. In the farmhouse are 6 bedrooms-ensuite ( private shower, toilet and wash-basin) and central heating, with a view of a beautiful garden, and can lodge in total 17 persons. No experiences yet with De Nieuwe Tijd. Be the first! Did you stay in De Nieuwe Tijd? Let us know what you thought about it and help others to make the right choice! * I confirm having stayed in De Nieuwe Tijd. 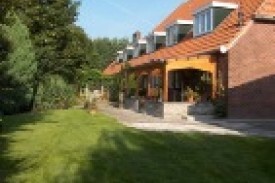 Find other bed & breakfasts in Wieringermeer or all bed & breakfasts in North Holland.